In 1918 the City of Stillwater embarked on its ﬁrst comprehensive plan. The 1918 Comprehensive Plan envisioned sustainable growth, new roadways, and a robust park system. 100 years later, we are celebrating this vision that has helped preserve Stillwater’s natural beauty and amenities, while supporting economic prosperity. It is also a time for us to revisit our 2008 Comprehensive Plan. All cities, counties, and townships within the seven-county metropolitan region must prepare a comprehensive plan and update that plan as needed every 10 years. Stillwater’s update is due by May of 2019. Q. What is the Stillwater Comprehensive Plan? A. The Comprehensive Plan addresses the topics of land use, housing, transportation, parks and more. This document helps shape how Stillwater will grow and change over the next 20 years. Q. Why should I be interested in the Comprehensive Plan? A. The comprehensive plan provides guidance to elected oﬃcials, City staﬀ, developers, neighborhood groups and other community stakeholders to ensure progress towards a common vision. The City of Stillwater consults the plan when: • A developer or property owner proposes to build a new building. • Rebuilding a street, constructing a trail, or planning for utilities. • Maintaining and investing in our park system. • Designing programs and strategies for aﬀordable housing and employment. Q. Why is the City updating the Comprehensive Plan? 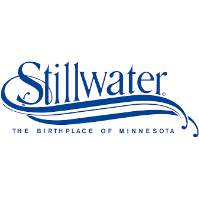 A. Stillwater is required by State law to update our comprehensive plan every ten years. The current Stillwater Comprehensive Plan was adopted in 2008. Q. What changes should I be aware of in the 2040 Comprehensive Plan? A. The DRAFT Plan will mirror many of the same elements from the 2030 Plan. However, the DRAFT Plan has placed a stronger emphasis on sustainability and resiliency. The Land Use and Housing Chapter have also seen a number of revisions to reﬂect future growth projections, in addition to proposing mixed-use development opportunities along Highway 36. Other notable changes include updates to the Downtown Framework Plan.